Being charged with Driving Under the Influence (DUI) of alcohol or drugs is a very serious matter that requires immediate attention from a qualified Scottsdale DUI Defense Lawyer. In the state of Arizona, having a blood-alcohol content (BAC) of just over the legal limit of .08% may result in harsh consequences, such as potential jail time, the imposition of hefty monetary fines, the suspension of your driver’s license, and probation, among others. Also, you may end up with a blemished criminal record that makes it difficult for you to get a job, attend college, or rent a house or apartment. The Scottsdale DUI Attorneys of AZ Criminal Defense Group, PLLC understand the ramifications of being charged with, and potentially convicted of, a DUI charge under Arizona law, whether it be from driving under the influence of alcohol, illegal drugs, or even prescription drugs. All DUI charges must be dealt with right away following arrest. Our attorneys are ready at any time to provide their clients with prompt legal representation. 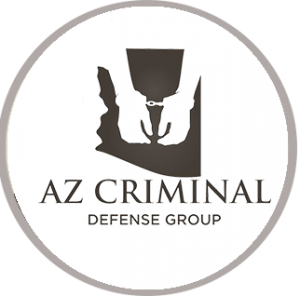 Why Choose AZ Criminal Defense Group, PLLC? There are many Scottsdale DUI Defense Attorneys that you have to choose from; however, finding the right attorney is a very important decision and you deserve to receive the best representation possible from a true advocate. The Scottsdale DUI Lawyers of AZ Criminal Defense Group, PLLC have helped clients like you overcome tough DUI charges, and know what to expect from prosecutors and judges in most DUI cases. This enables our attorneys to prepare their clients for every potential outcome that may occur. Given that the state of Arizona is stricter than many other states when it comes to penalties for DUI convictions, you need a dedicated and highly skilled Scottsdale DUI Defense Attorney who is not afraid to seek the result that is fair given the individual facts of your case. While there are other excellent attorneys available to you, the Scottsdale DUI Defense Lawyers of AZ Criminal Defense Group, PLLC have a reputation for success that is unmatched by many other law firms. We believe aggressive yet amicable negotiation is essential to getting a DUI charge resolved in the most reasonable way possible. At AZ Criminal Defense Group, PLLC, our attorneys value the contribution of their legal staff members, as they play a key role in the overall success of the law firm. However, we also believe that each and every client deserves to speak directly with an attorney when calling our office. As a client, you deserve our undivided attention because we know just how important your rights and interests are. When you call or visit us, you will not simply be passed directed to only a legal assistant, paralegal or other staff member. You will be immediately directed to one of our seasoned Scottsdale DUI Defense Attorneys. No matter how minor or serious a DUI charge may be, the Scottsdale DUI Defense Lawyers of AZ Criminal Defense Group, PLLC have the resources and advocacy skills to provide you with superior legal representation. Scottsdale residents are arrested and charged with crimes at all hours of the day and night. As such, the attorneys of AZ Criminal Defense Group, PLLC are available 24/7 to provide you with the guidance you need. We are able to help many clients over the phone to handle their DUI matter, with no requirement for a face-to-face meeting. This is convenient for many clients without any means of getting to our Scottsdale office. If you would like to speak with one of our attorneys, contact the Scottsdale DUI Lawyers of AZ Criminal Defense Group, PLLC today by calling (480) 525-9959 to schedule an initial consultation.